During NaNoWriMo this year, I was hard at work doing the final edits for The Tether - Except One and working on a piece that starts at the end of None Good and carries over into Except One. I was nervous as all get out because up until then, this had been Nick's world, his sandbox, and I had just gotten to play in it. As soon as Except One ended, it became my world. Nick is just a consultant and my favorite person to poke me when he feels that I ought to be writing. Fast forward to the end of December... 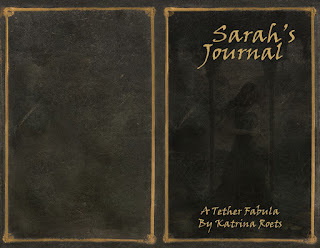 Except One was now available on Amazon and I wrapped up the last bits of what became Sarah's Journal. I handed it off to Nick, prayed he'd like it, and breathed a huge sigh of relief when he told me it was perfect. I'm sure that it isn't perfect, but him liking it was all I needed to breathe again. Then, the wait began...It would be up to him to add in all the legal mumbo jumbo, format it, and to create the cover. Isn't it gorgeous?!? Nick does such an amazing job and I feel blessed beyond belief that he not only trusts me with Sarah's world but he puts in this kind of work to make sure that what we put out is beautiful. I couldn't wait to share it with all of you, but I promised those on my fan page that they'd get first peek. If you'd like to be among those, please feel free to like the page! 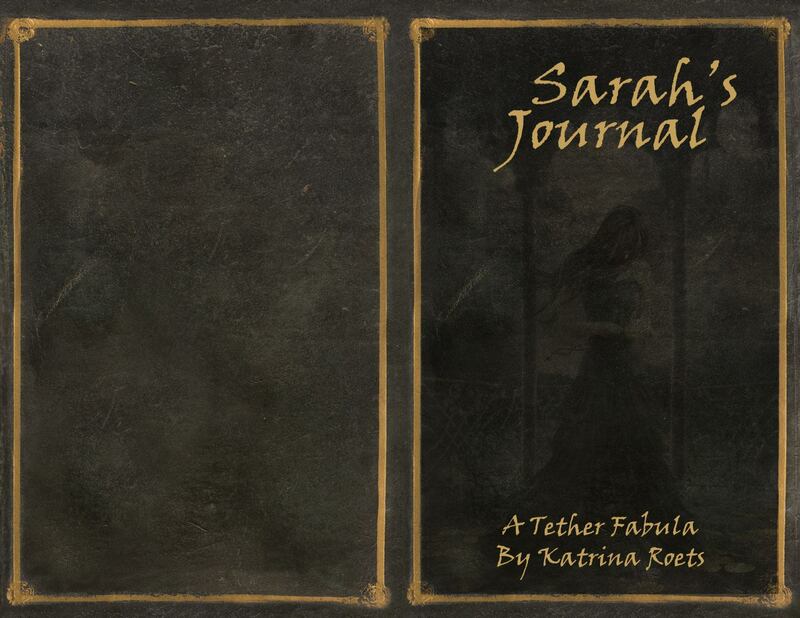 Stay tuned for the next exciting announcement about The Tether - Sarah's Journal coming soon!